I encountered an extraordinary bird on the way to work this morning which brought me a great deal of joy as well as new, unexpected layers of knowledge. 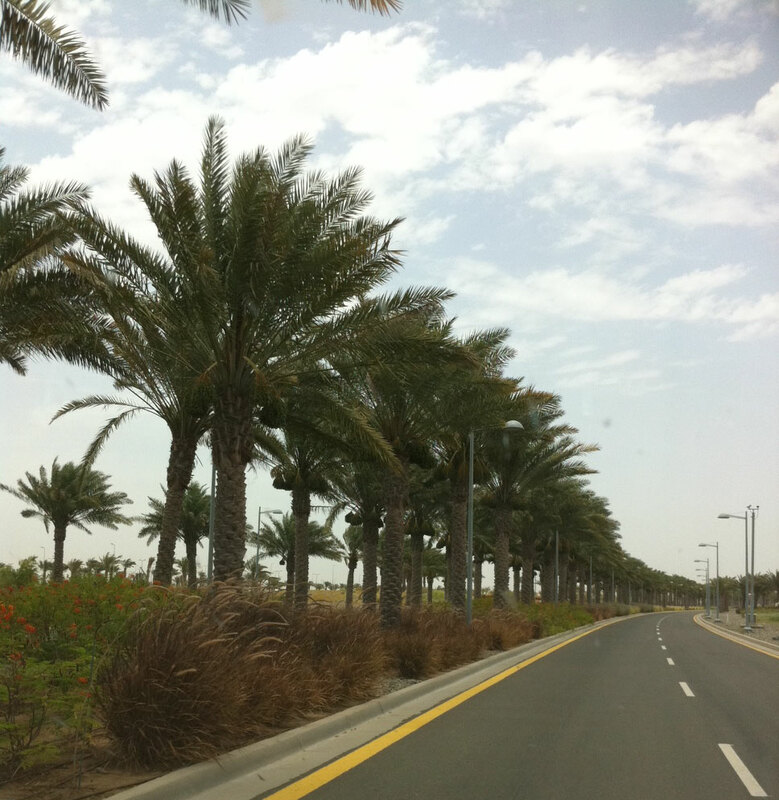 As May turns the page to welcome June, Dubai’s scorching heat is becoming more and more intolerable. With each passing day I try to dash a bit more quickly from the large gravel parking lot where I park my car to the office tower across the street where I work. But today, as I was hurrying into the small grass field in between the parking lot and the road, I was stopped in my tracks abruptly by a pretty bird strutting in front of me on the ground. It was busying itself looking for worms and insects and I was taken aback by its beauty, especially the prominent crest of orange and black feathers on its head. I had not come across this graceful, majestic bird before. It was all alone, as was I, so I pulled out my phone and started photographing the bird as it pranced through the grass and around the date palms, from which are starting to fall dates that have not yet ripened. 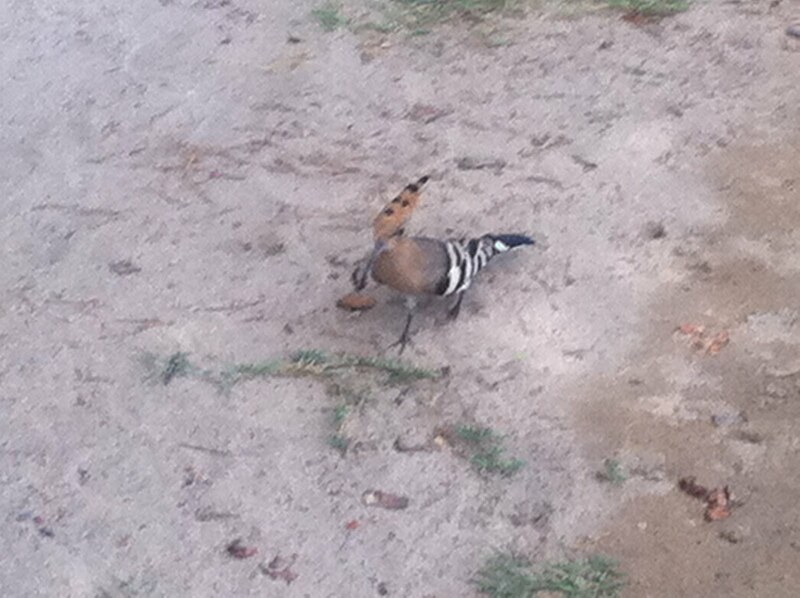 The bird had beautiful black-and-white striped wings and a peachy coloured breast. She did not seem bothered at all by my presence and carried on with her business for about a minute. She was very beautiful. 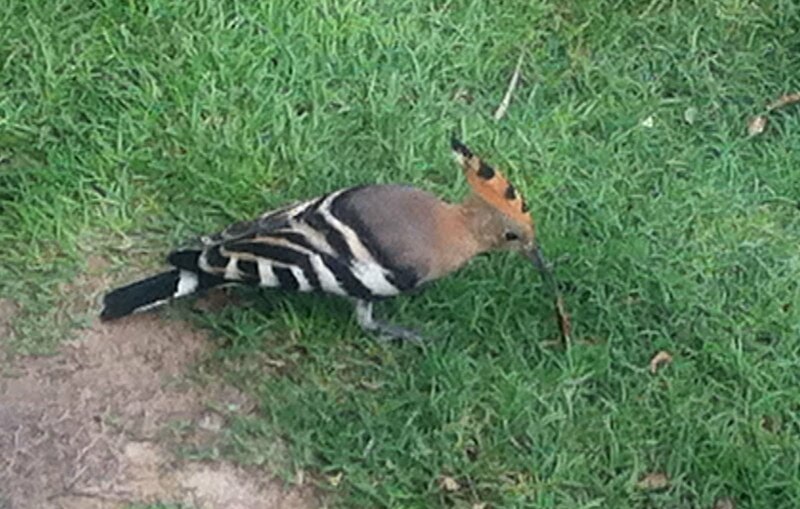 I decided to share a photo of this exotic bird on Twitter later that morning, and very shortly afterward a friend of mine told me it was called the Hoopoe (or Hudhud in Arabic). 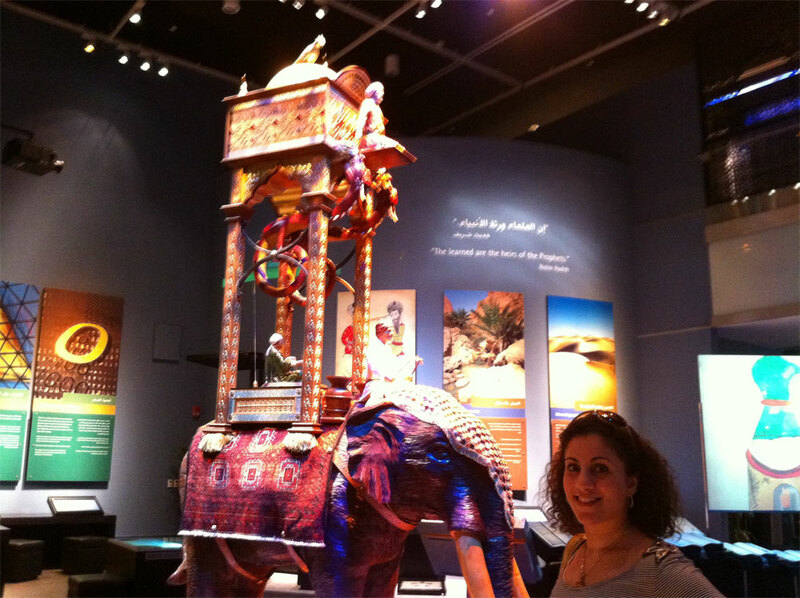 She said seeing the photo evoked memories of her childhood in Egypt. Then, a couple of people I hadn’t met or spoken to before (which something I love about Twitter) began sharing details about the Hoopoe’s history and legacy with me that I had not been aware of. 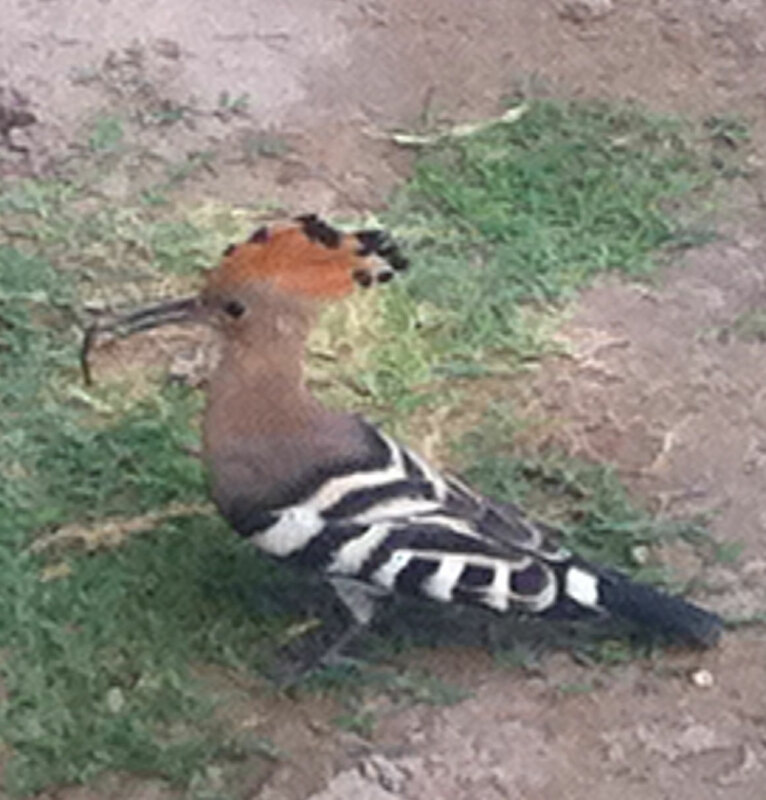 The Hoopoe is mentioned in the Holy Quran in reference to how it brought an important message to Prophet Suleiman in the Chapter (Surah) known as Al Naml (The Ants). I had read that surah and was aware of Prophet Suleiman’s ability to communicate with animals and insects, but I had not paid particular attention before to the type of bird. King Suleiman’s army consisted of men birds and jinn (spirits). In this Surah, the Hoopoe has a central role in the story of King Suleiman and the Queen of Sheba, an area believed to be in modern-day Yemen. 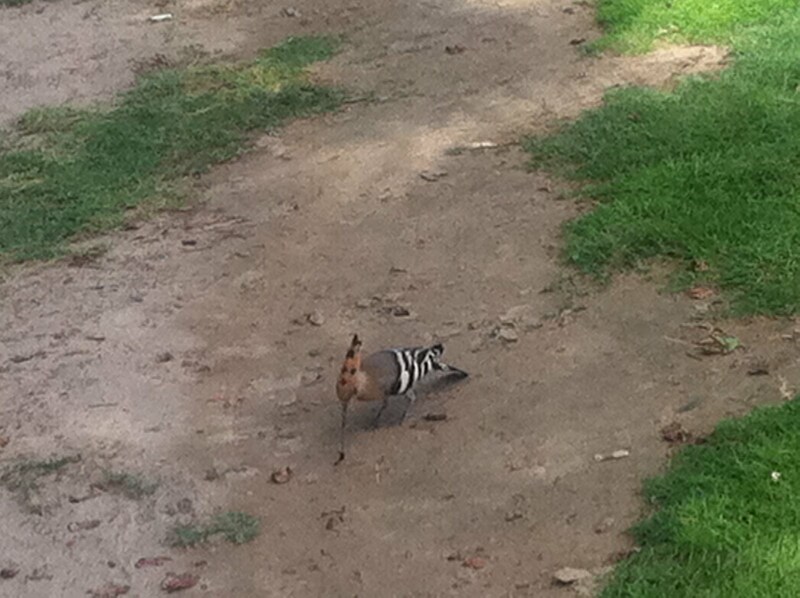 Noticing the absence of the Hoopoe in his army one day, Prophet Suleiman inquired where the bird was. Prophet Suleiman asks the Hoopoe to deliver a letter to the Queen, enjoining her and her followers to submit to God in Islam. Later, the Queen visits Jerusalem to see Prophet Suleiman. She arrives at the palace and mistakes the luminous glass flooring for a body of water. Lifting her dress to cross, she discovers it is glass, not water. Taken aback, the Queen repents to God shortly after, declaring herself a Muslim (i.e. one who has submitted herself to God). In light of this event, the Hoopoe is known for its powers of observation and intelligence; it was able to decipher the lack of faith among the people of Sheba and relay this message to a prophet. In an epic poem known as “The Conference of the Birds” written by a Persian Sufi mystic in the 12th century, meanwhile, the Hoopoe guides a group of 30 birds on a journey much as would a Sufi master lead disciples to enlightenment. Learning these rich facts from peers on Twitter reminded me about the importance of pausing at times to observe the beauty and miracles of nature; you never know what you may miss if you rush past too quickly. I certainly was not expecting to cross paths with such a splendid bird. Sharing these moments with others, meanwhile, adds to their beauty and etches them more meticulously in our memories. I was never very good at patience. It is easy to say that you understand the virtue of enduring periods of misfortune and dilemma calmly, but much more difficult to actually put that into practice. There have been numerous times in my life when impatience distracted me from finding contentment in the moment at hand. Yet once things had smoothed over, I realised why circumstances came together as they did and why I should have been more patient. Among the times I failed most at being patient was when at 25, I moved back to Canada following almost two years of working in Egypt as a journalist. I had gained a lot of acclaim during my time in Cairo, but working in the bustling Egyptian capital as a single woman living alone made my mom terribly uneasy. The society was conservative and people talk, meddle and judge, she would say – and she tended to be right about such things. Finally heeding her appeals, I moved back to Vancouver. It was springtime and ambitious as I was, I immediately began emailing my resume to media outlets searching for a job. In the months that followed, I must have mailed hundreds of resumes and written dozens of cover letters for summer internships and jobs in Canada and the United States. But to no avail; if it wasn’t for the odd rejection, I received no response at all. Doors would appear to open only to slam shut halfway. At one point, I travelled to Washington DC on my own expense to interview for a job at Dow Jones Newswires. They ended up hiring someone locally. I applied for a graduate training programme at Reuters, and they also turned me down (the same day), as did a number of summer media internships in Canada that year. It was a miserable feeling. My frustration, worries and anxieties were building. My mind would turn to Egypt, to the great interviews, immensely interesting articles and full days of reporting and writing. About four months into the job hunt, I took a retail job at a women’s clothing store in order to earn some cash as I attempted desperately to jumpstart my career. My mom would beseech me to be patient, words that rung hollow in my wilful head. I suppose I felt I was entitled to a good job after the hard work I had put into my career beginning in university. The idea that God would open the right door at the right time did not resonate. During this period of limbo, my mom and I would go almost daily for morning walks along the river not far from our home. In order to distract my attention from the fruitless job hunt, she began teaching me chapters (surahs) from the Holy Quran, which I would memorise and recite back to her. I was not necessarily internalising the divine lessons on life and faith embedded in these chapters, but it was a welcome distraction. A couple of years prior my cousin in Egypt had died suddenly at the age of 17 (God bless her soul/الله يرحمها). When I had visited her grave, one of my paternal aunts shoved a small pamphlet of Quranic verses under my nose and told me to recite a chapter known as Surah Yasin, which is important to read once someone has passed away. 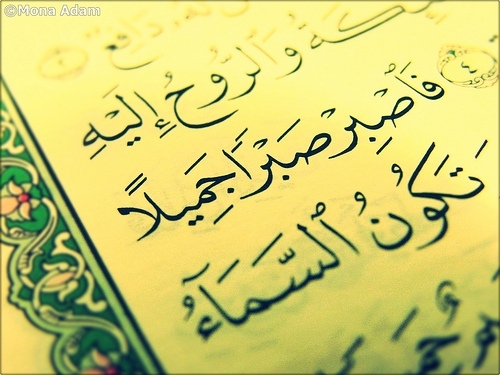 I could not read Arabic well, nor did I know that surah by heart, so I was left staring blankly at the booklet and, feeling quite embarrassed, mumbled a self-made prayer under my breath. During our walks along the river, I had my mom teach me the 83 verses (ayat) of Yasin. After each walk, I would circle around the school field in front of our house until I had memorised the section, which I would then recite for my parents. The process took a bit of the edge off of my misery, but impatient I remained. I wanted a job immediately. It took more than 10 months before I was able to find a mediocre position as a copy editor for a small-scale media outlet. The job was dreadfully dull and started at 6 a.m. – definitely not what I had envisioned. So I kept applying for work elsewhere until all at once my luck shifted. Just over a year after returning to Canada, I was accepted into an Ivy League journalism masters programme and shortly after, offered a job to help start up a new newspaper in Dubai. Things fell into place after that. I opted for the job, unable to afford the degree expenses. And after less than a year in Dubai, numerous employment offers started finding me. I accepted one from Reuters, which left me feeling a bit astounded that a company that had rejected my application for a trainee position two years earlier was now eager to offer me a full-time job. Nothing truly does happen before it’s time, I thought. Difficult times just make the next good thing that rotates into your life more worthwhile. Yet the turn in fortune did not miraculously lead me to become a patient person. It was easy to apply patience to my past, to see how every struggle and triumph fit together perfectly in the divine plan. But being patient with the present and future was another matter entirely. I often remained impatient with work, relationships, family and financial struggles. In Islam, there is a core idea that one should strive to stay on the ‘Straight Path’. My struggle with patience was something like trying to walk on this path backwards. Walking backwards is not natural: you wobble, trip and cannot keep to a straight line. You don’t have perspective because you focus on the past and judge your current circumstances by how you deem things ‘should be’, rather than realising that circumstances just ‘are’. 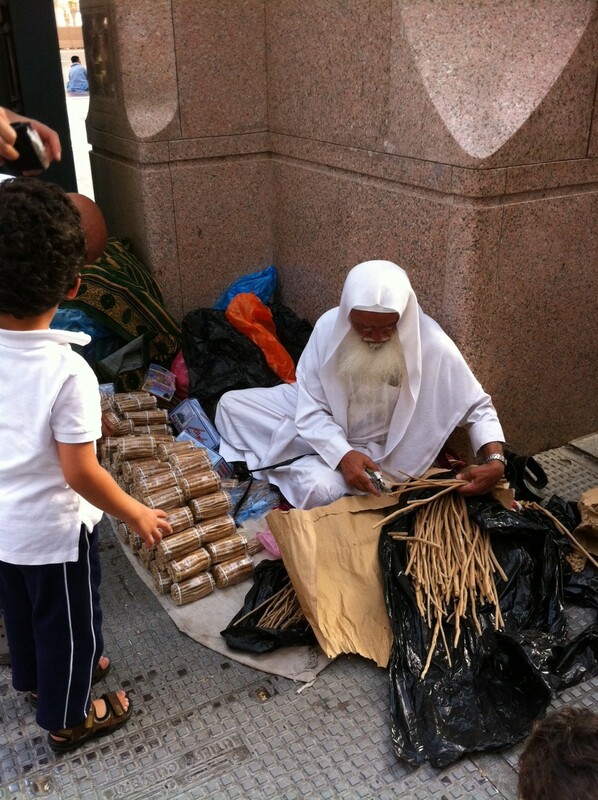 That is why patience is essential to Islam, an Arabic term that means ‘submission to God’. Prayer, fasting, righteous deeds and charity are incomplete without genuine patience. Last year, in the midst of dealing with another struggle life threw my way, the idea of applying patience now, in real time, suddenly made sense. We can put as much hard work and effort as we can muster into our goals, but we should not pre-judge the outcome. Destiny will unfold as God wills and we don’t always know what chain of events would be best for us. The natural state of the human mind is to be in submission to God; embracing this, I welcomed an undesired outcome and moved on, trusting that God knew best. Since then, I have tried as much as possible to internalise the idea that every step we take is exactly as it was meant to be. This helped me turn around and walk forward on that Path, applying patience to my present and future in a way I had never been able to before. I became patient in real time. What is the point of worrying now when I will only rationalise later why I shouldn’t have worried? Looking back at that year of foolish anxiety at 25, all I recall now are the walks I took with my mom. I was pleased to able to recite Surah Yasin when my uncle passed away the following year, when another died two years after that, and when I lost my father last year (الله يرحمهم/God bless their souls). Standing with my sisters at the side of his grave, I read Yasin aloud in my broken Arabic accent, in the presence of the aunt who had asked me to do so for my cousin many years earlier. That break before what has become years of uninterrupted and hectic work ended up giving me much greater value than any job would have. We can’t always understand immediately why events unfold as they do. But that is why patience is one of God’s greatest tests of our faith. Patience is trusting unequivocally in the midst of a tough struggle that within it, a great blessing is concealing itself. “God puts no burden on any person beyond what He has given him. There are certain tastes, scents and sounds that will take you back to another time in your life. Me and my sweet tooth will always remember a delightful pastry. I baked a dessert this weekend that took me right back to my junior high home economics class in Calgary, Canada. 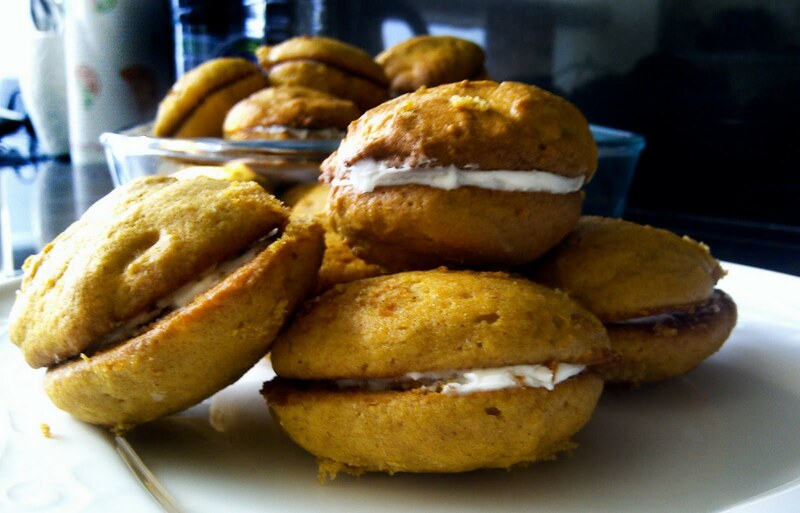 Our class was tasked with baking finger food for an evening assembly, and we made these mouth-watering moist pumpkin cookies filled with a creamy icing. At the time, I think they were about the most-delicious sweet I’d ever tasted. I held onto the recipe for a while, but at some point in the course of moving cities, which we did shortly afterward, I misplaced it and, well, forgot about those cookies. Once in a while I would think about trying to find the recipe, but we didn’t have Google back then to make the search easy. A few weeks ago, my sister asked me if I remembered those pumpkin cookies from middle school; she had also baked them in home-ec, and turns out she also never quite forgot about them either. 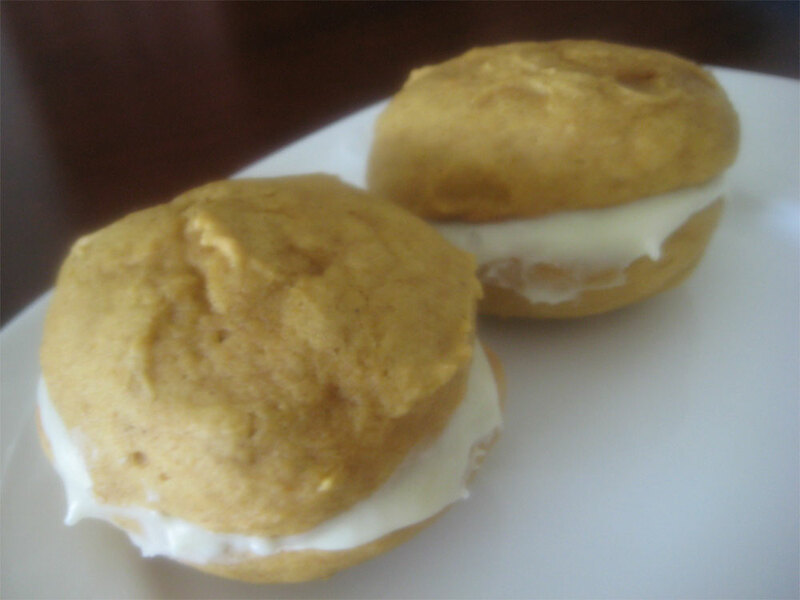 She found a recipe online for ‘mini pumpkin whoppie pies’ – cream cheese icing sandwiched between two very moist mini pumpkin cakes. I’m not sure if these are exactly like the sandwich cookies I had baked middle school, but they’re close and they’re incredibly good, blending pumpkin, cinnamon and ginger flavours. These are about double the size they should be but just as yummy! She was very excited to bake them for me when I visited her earlier this month, and I thought I would give the recipe a try this weekend. 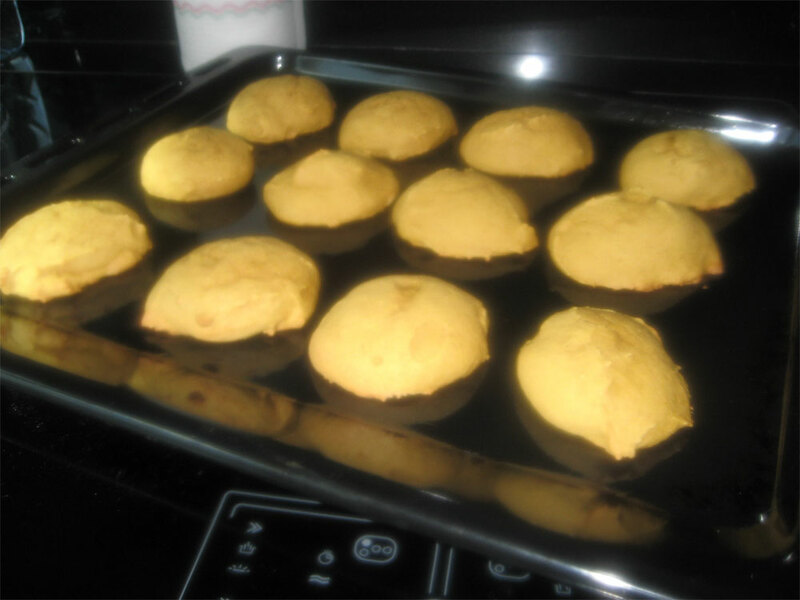 I made them a bit too big (follow the instructions when it says to put only a heaping teaspoon of the batter onto the baking sheet). Definitely worth a try and very easy! I love eating and sharing desserts. Recipe makes around 30 cookies. The recipe below is from cooks.com, although I modified the icing recipe because the one on the website includes too much butter. PREHEAT oven to 350°F. 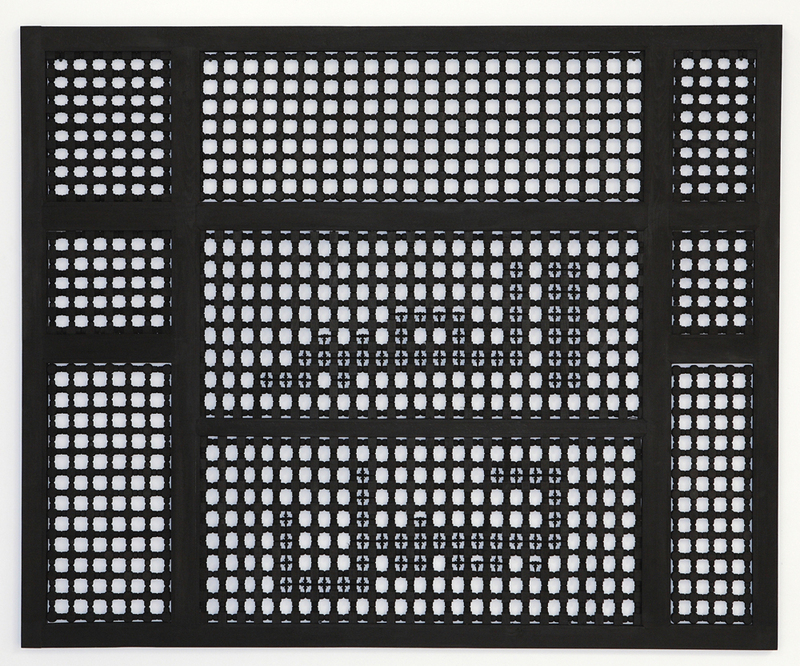 Lightly grease or line four baking sheets with parchment paper. COMBINE flour, baking powder, baking soda, cinnamon, ginger and salt in medium bowl. Beat butter and sugar in large mixer bowl on medium speed for 2 minutes. Add eggs, one at a time, beating well after each addition. Add pumpkin and vanilla extract; beat until smooth. Stir in flour mixture until combined. SPREAD a heaping teaspoon of filling onto flat side of one cookie; top with flat side of second cookie to make a sandwich. Repeat with remaining cookies and filling. Store in covered container in refrigerator. Estimated Times: Preparation – 20 minutes; Cooking – 10 minutes. Yields 3 dozen mini pies. 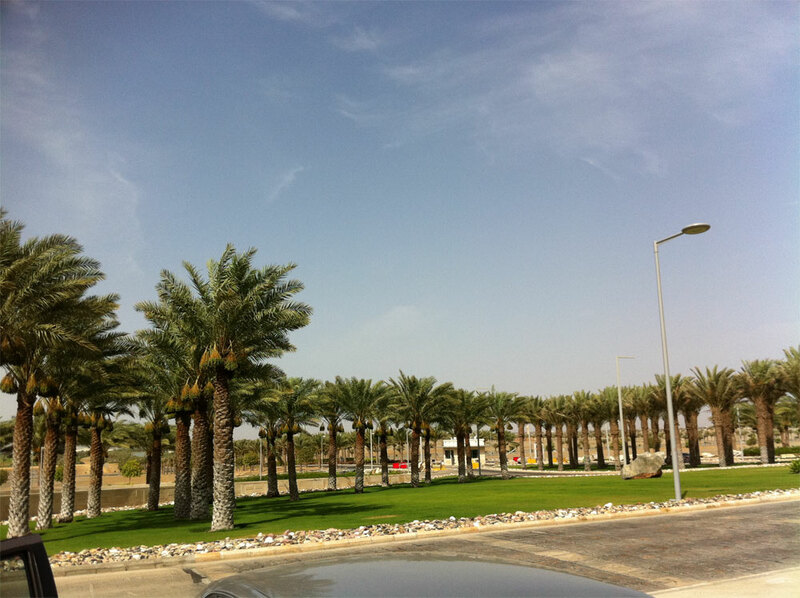 When my brother-in-law decided along with my sister to accept a faculty position to the King Abdullah University of Science and Technology (KAUST), he referred to the campus as an ‘oasis for science in the desert’. 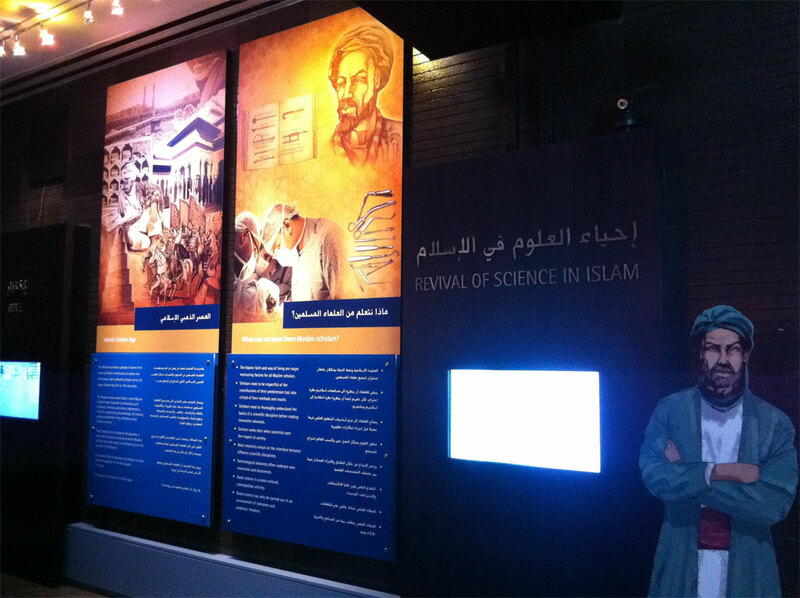 They and many other scientists and engineers in numerous disciplines were drawn by the idea of reviving scientific research in the Arab world, home to about 17% of the world’s Muslims. 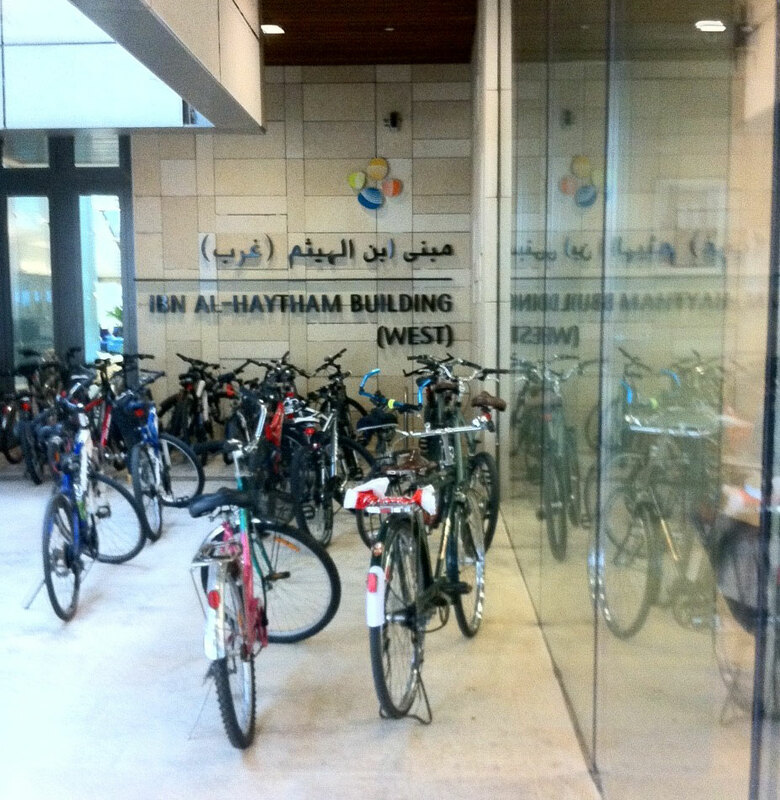 KAUST is a modern, liberal enclosed campus community situated at the heart of Islam’s birthplace, just an hour from Makkah and three hours from Madinah, the two holiest cities in Islam. The location at first glance appeared peculiar, particularly since very little research and development occurs in the Middle East. The region has long suffered from a brain drain of top talent moving to the west to complete higher degrees and conduct world-class research. In addition to this shortcoming, the desert bordering the Red Sea seemed an inappropriate backdrop against which to situate a university that strives to turn out high-calibre research and graduate scientists and engineers who are able to compete on the world stage, particularly since Saudi Arabia is regarded as among the most-conservative states the world. Yet the project, while bearing numerous growing pains since its launch in late 2009, appears to be working. Scientists have set up world-class laboratories and hired first-rate researchers and post-doctoral fellows of numerous nationalities. They are conducting research in-house and through collaborations which should, in the coming years, produce meaningful results and hopefully be published in some top scientific journals. 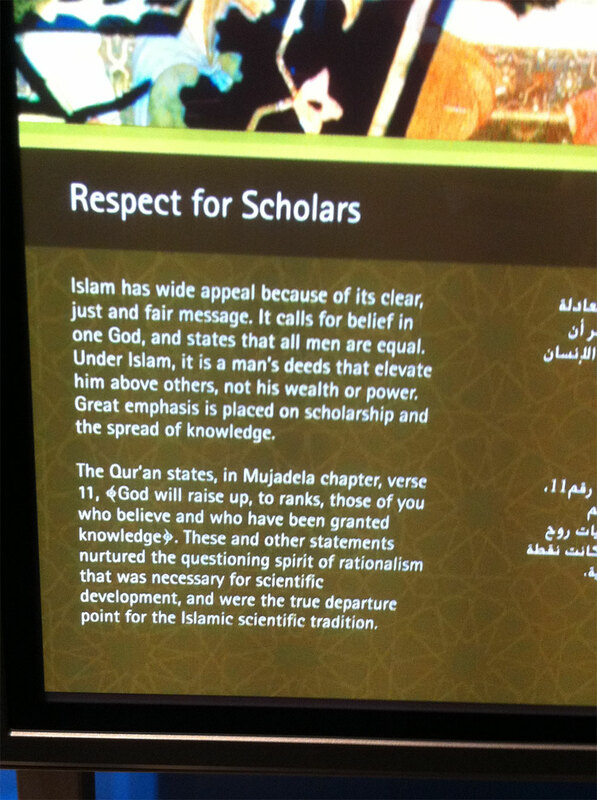 If cultivated effectively, KAUST’s location could be viewed as quite ideal, as I would discover following a visit to the Museum of Science and Technology in Islam on the campus this week. 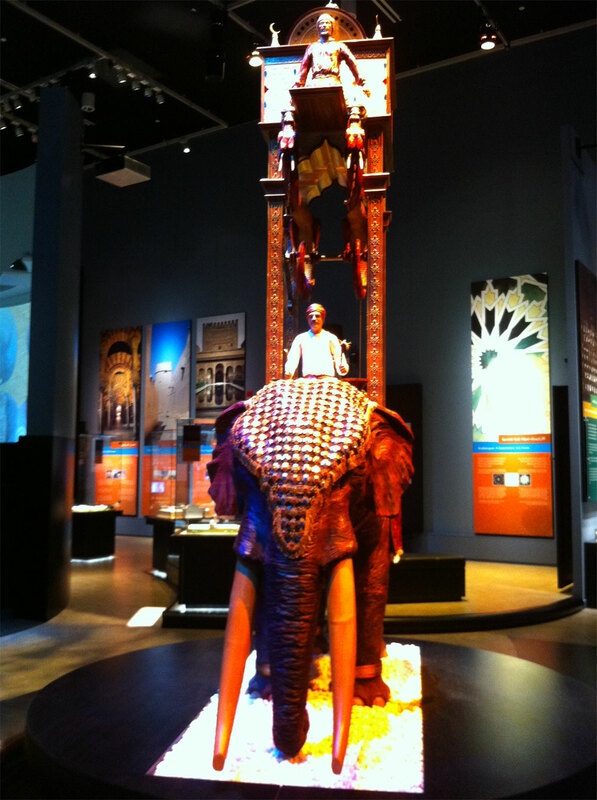 The museum chronicles the accomplishments of pre-eminent Muslim scientists and scholars during the Islamic Golden Age spanning the seventh to 17th centuries. 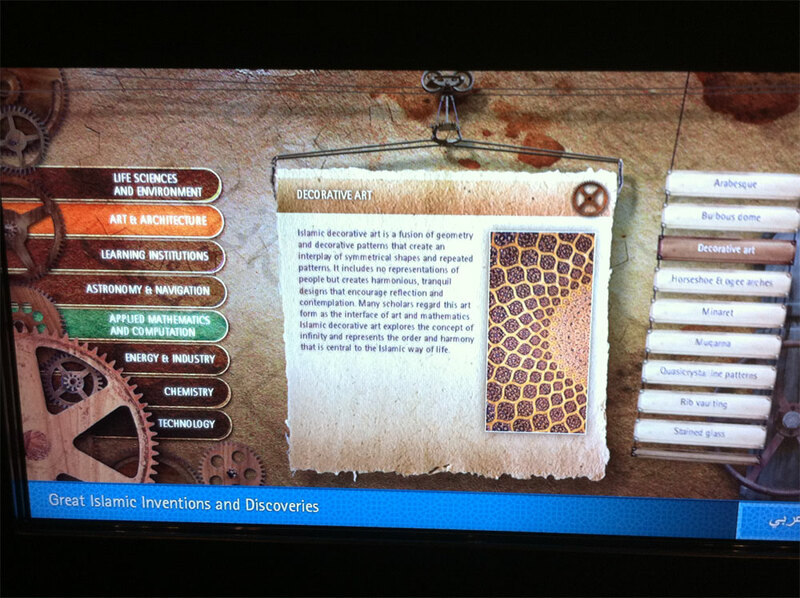 Through numerous interactive multi-media displays, the museum introduces visitors to Muslim scholars who made pivotal contributions to physics, chemistry, engineering, astronomy, mathematics, medicine, pharmacology, life sciences, geology, architecture and material sciences. 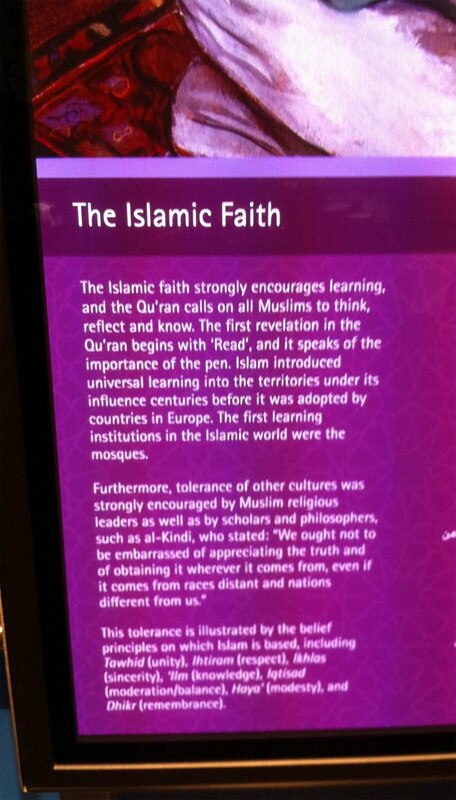 “It is evident from this museum that Muslim scholars laid the foundation for the Renaissance in Europe,” reads one sign in the museum. Seeking to revive this vitality near the birthplace of Islam made a great deal more sense to me after touring this small but immensely engaging museum. Islam, which literally means ‘submission to God’ in Arabic, is a faith that when properly practised encourages Muslims to strive for balance in their lives. They should pray regularly to the one Almighty God, fast frequently, do good deeds and give charity, be patient before all challenges and give gratitude to God for their blessings. They should also, very importantly, seek to think and reflect, and discover and dispense knowledge during their time in this world. Research and discovery are complementary with these goals; Muslim scientists strive to uncover the secrets that only God knows, and in doing so bring good to humanity as a whole by discovering technologies and medicines that would benefit their communities. 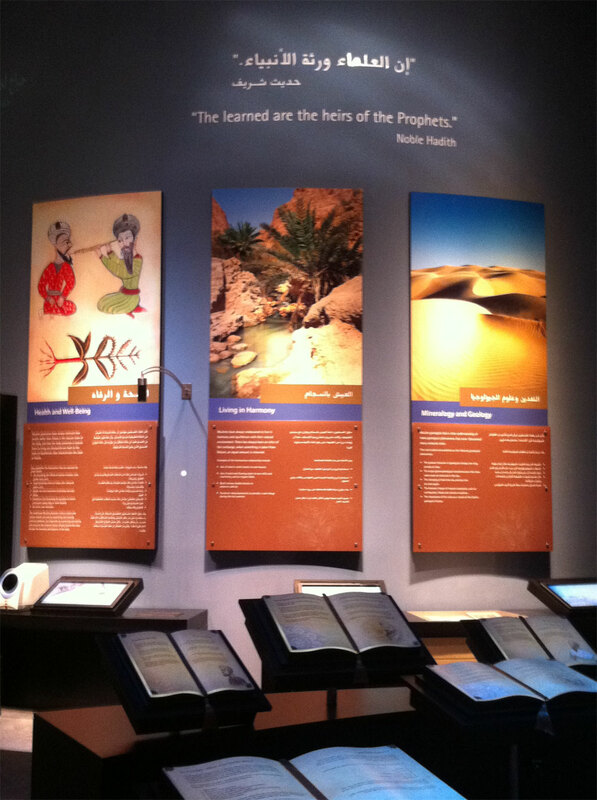 “The learned are the heirs of the Prophets,” reads one Hadith, saying of the Last Prophet ﷺ, in words etched on the wall of the museum. “Those truly fear Allah (God), among His Servants, who have knowledge,” says another sign, quoting from the Holy Quran, itself full of numerous scientific truths. 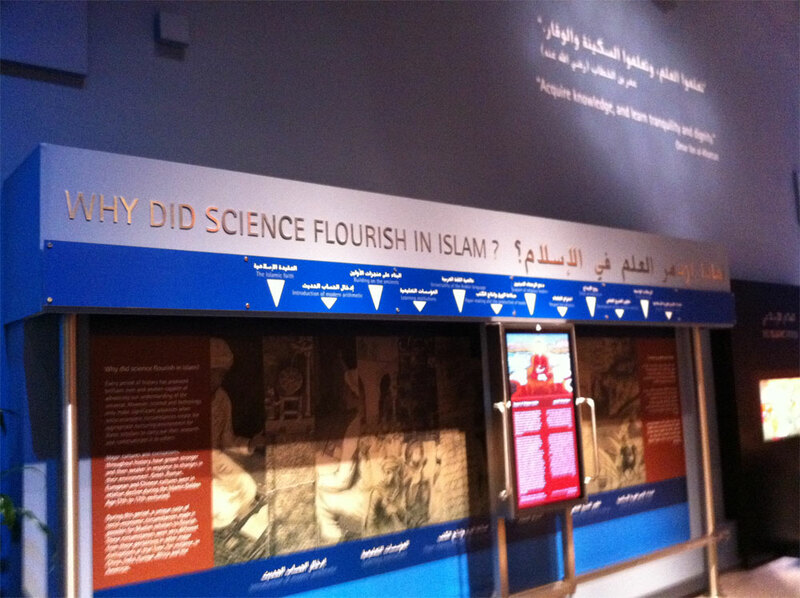 The skilfully designed museum underlines great Islamic inventions and discoveries, answers the question, ‘Why did science flourish in Islam’ and illustrates how Muslim scientists laid the foundations for some of the most-fundamental scientific principles. 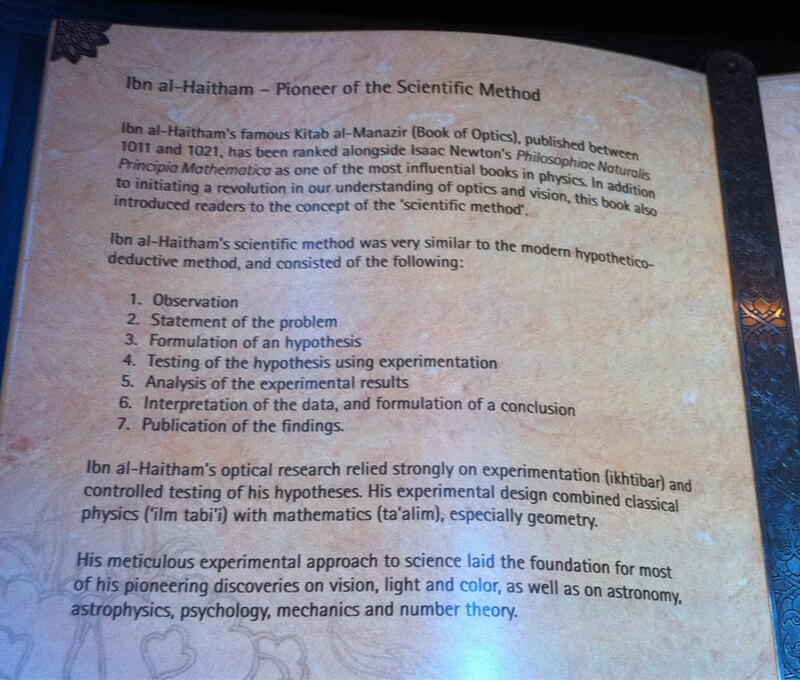 Ibn al-Haitham (965-1039), for instance, pioneered the scientific method and his ‘Book of Optics’ (1011-1021) ranks alongside Isaac Newton’s Philosophiae Naturalis Principia Mathematica as one of the most influential books in physics. He made crucial discoveries in mathematics, astronomy and optics. 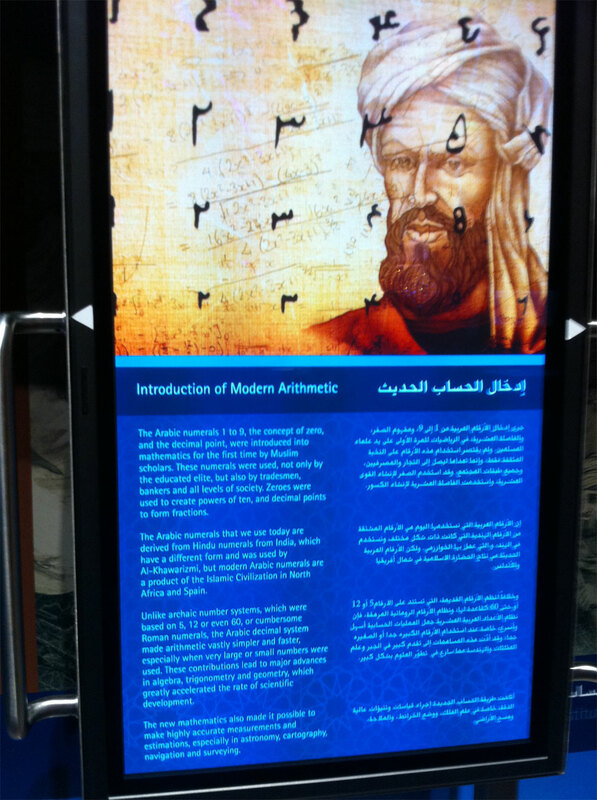 It was Muslim mathematicians who introduced the concept of zero, the decimal point and Arabic numerals (1, 2, 3, 4, 5, 6, 7, 8, 9) to mathematics. 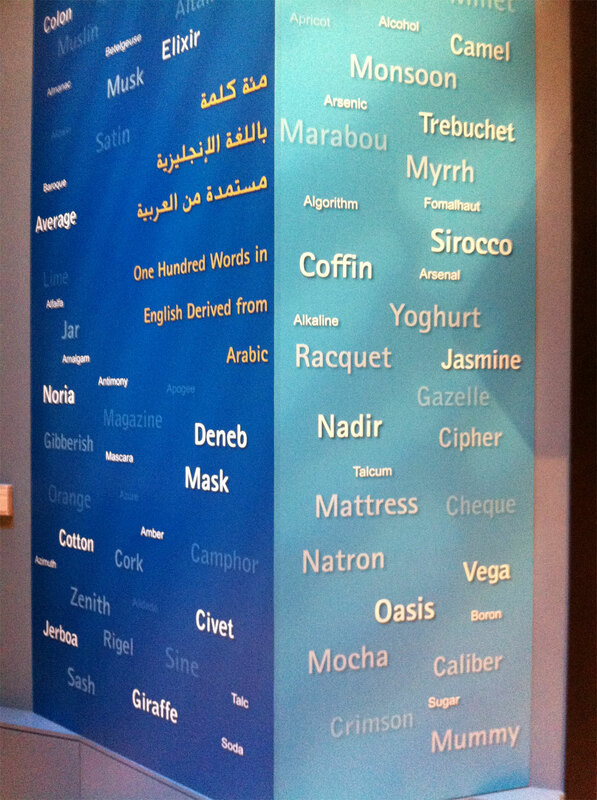 The numerals used widely by Arabic speakers today (٠.١.٢.٣.٤.٥.٦.٧.٨.٩) are actually Hindi numerals. 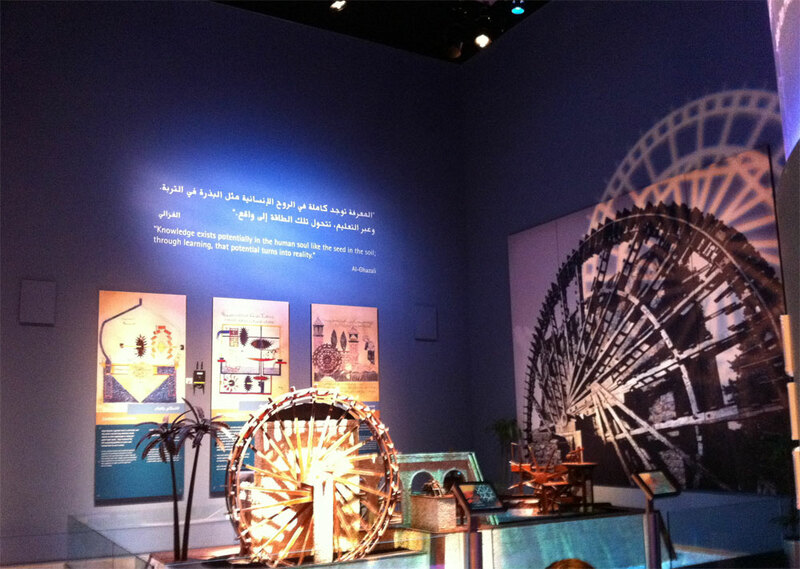 Muslim engineering genius Al-Jazari (1136-1206) invented five water-raising machines, and was the first engineer to introduce crankshafts, cog wheels, pistons and one-way clack valves into pumps. He also designed and made both the four-bolt lock and the combination lock. 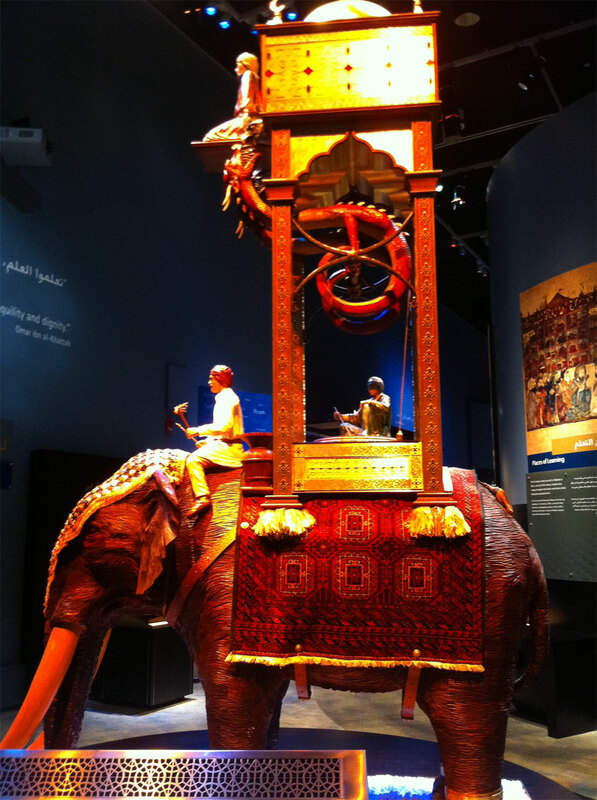 An impressive replica of Jazari’s Elephant Clock using water technology, along with an interactive description of how it works, is found in the museum. 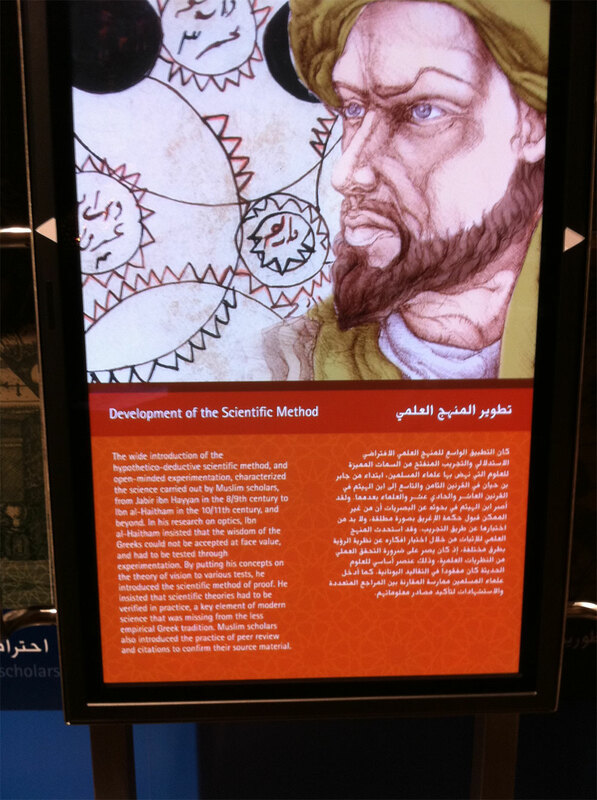 A touch-screen ‘human health’ wall displays the contributions of Muslim scientists to the study of human anatomy, physiology and epidemiology. 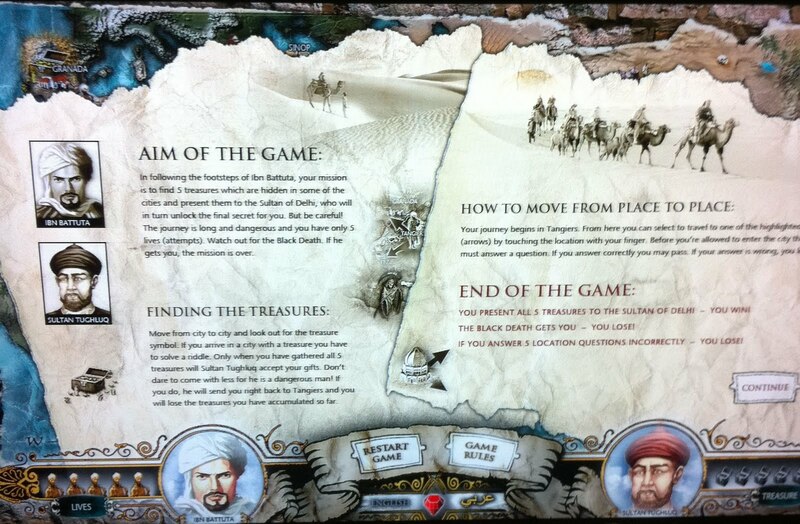 The museum also features an interactive game that allows you to chart the travels of Ibn Battuta, one of history’s greatest explorers. 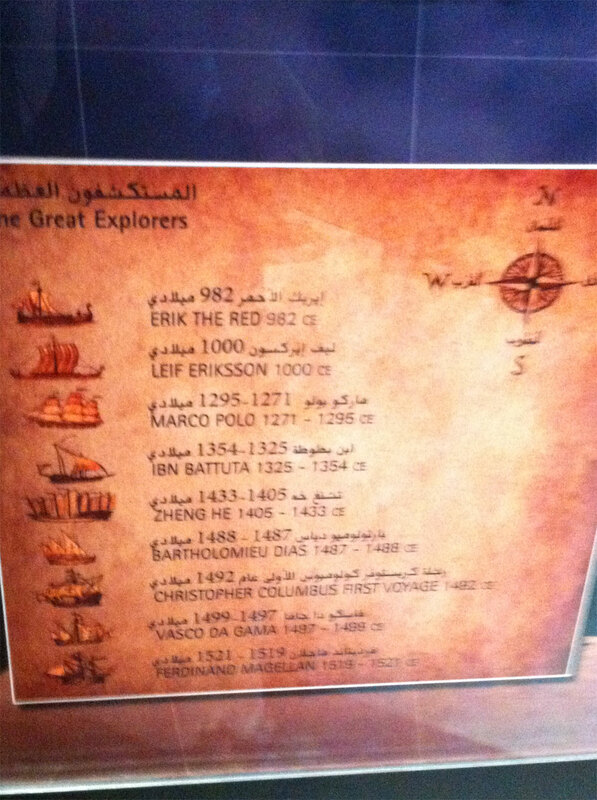 Along with Muslim explorer Zheng He, Ibn Battuta’s travels were as extensive as those of more famous European explorers such as Marco Polo and Christopher Columbus. Ibn Sina (980-1037), who wrote over 200 books on medicine, mineralogy, astronomy and mathematics, and identified over 700 drugs. Jabin bin Hayyan (721-815), who made important contributions to chemistry that were translated into Latin and used extensively in Europe. Ibn Khaldun (1332-1406), regarded as the forerunner of modern sociology and economics. Umar al-Khayyam (1048-1131), who discovered methods for solving cubic equations “that would be intelligible to only the most advanced mathematicians 1,000 years later”. Al-Zahrawi (936-1013), who’s 30-volume ‘Method of Medicine’ summarised all known information on medicine and medical treatments. The book was translated into Latin and used for teaching medicine in Europe for several centuries. 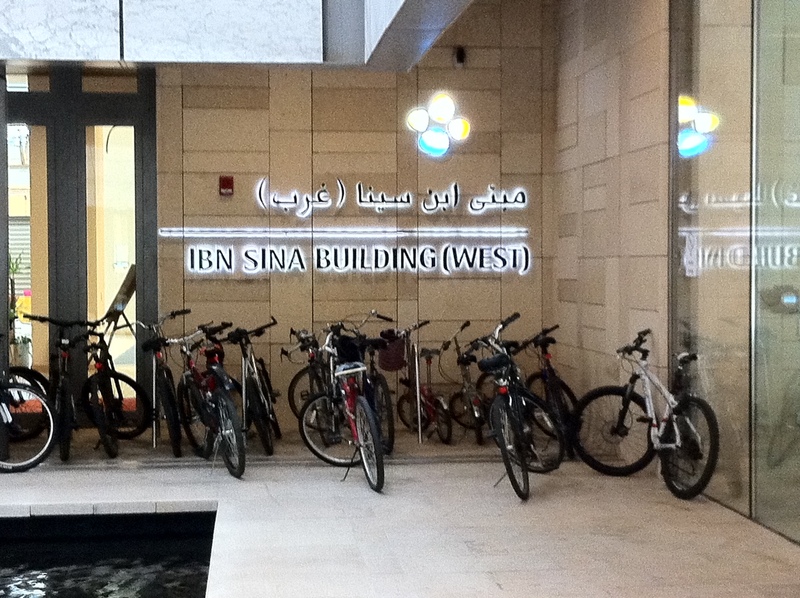 KAUST’s main research buildings are named after many of these pre-eminent Islamic scholars. Developing knowledge-driven economies in the Middle East that promote and encourage innovation and modernisation is crucial for the region’s economic future. 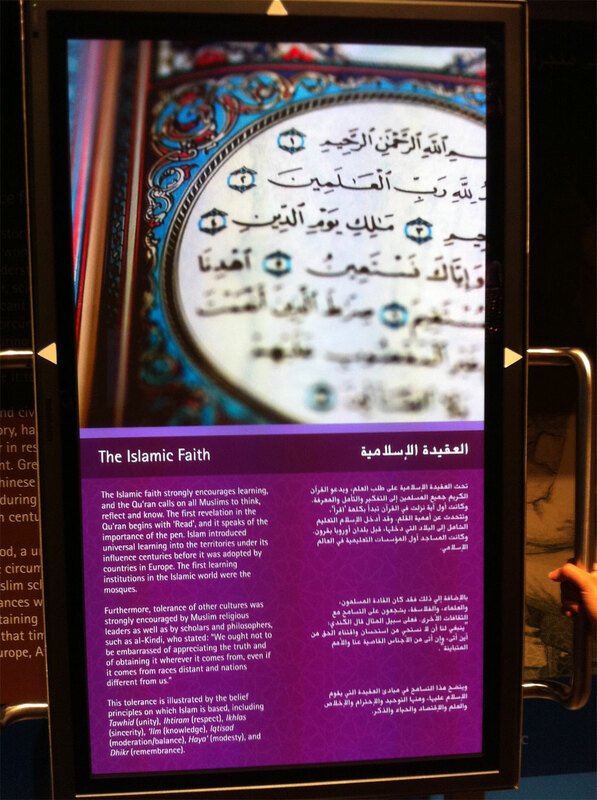 While there is a long road ahead to make this a reality, reinvigorating the scientific spirit that is intrinsic in Islam is one way KAUST could help make this a reality. 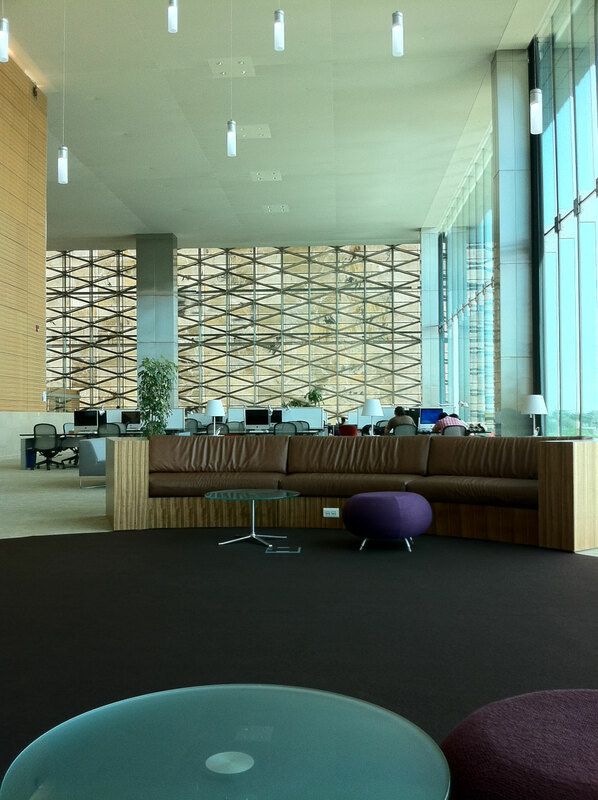 Gorgeous interior of the KAUST library. All the computers are Macs! Convinced harvesting dates partially funds the university. They’re everywhere! 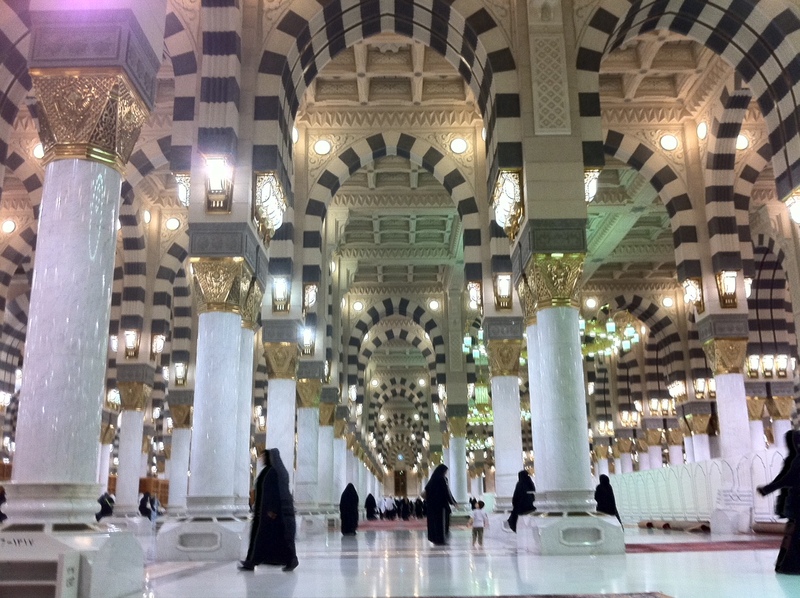 I spent the last two days in Al-Madinah Al-Munawarah, Arabic for ‘the Enlightened City’ or ‘the Radiant City, located in Western Saudi Arabia. 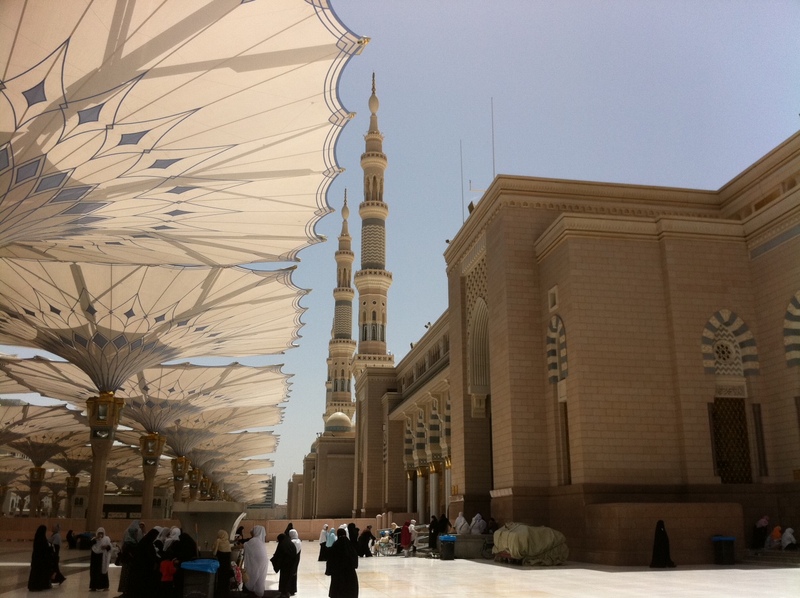 It is the home of the Prophet’s Mosque, Al-Masjid Al-Nabawi, dedicated to Prophet Muhammad ﷺ and the site of his burial. 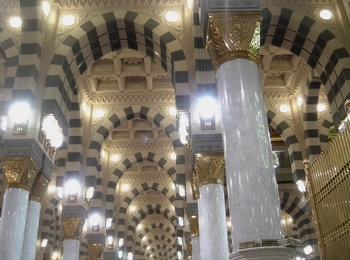 Prophet Muhammad ﷺ is the last of a long line of Prophets within the Abrahamic tradition, and visiting the Prophet’s Mosque in Al-Madinah is regarded very highly by those who have embraced Islam, an Arabic term meaning ‘submission to God’. 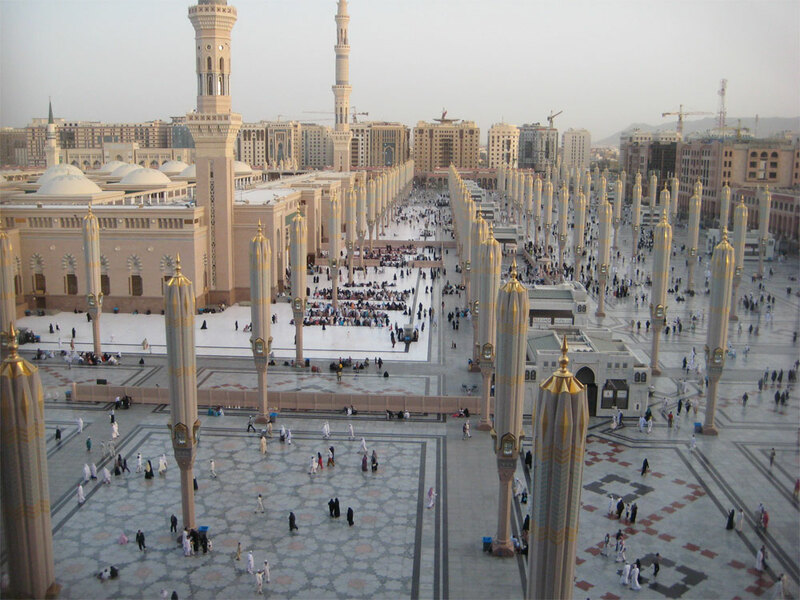 Al-Madinah is the second-holiest city in Islam after Makkah, site of the Kaaba, which is located about a four-hour drive away. Millions of Muslims from around the world visit Makkah each year to perform the hajj pilgrimage that takes place once every year, or umrah, a smaller pilgrimage that can be conducted throughout the year. 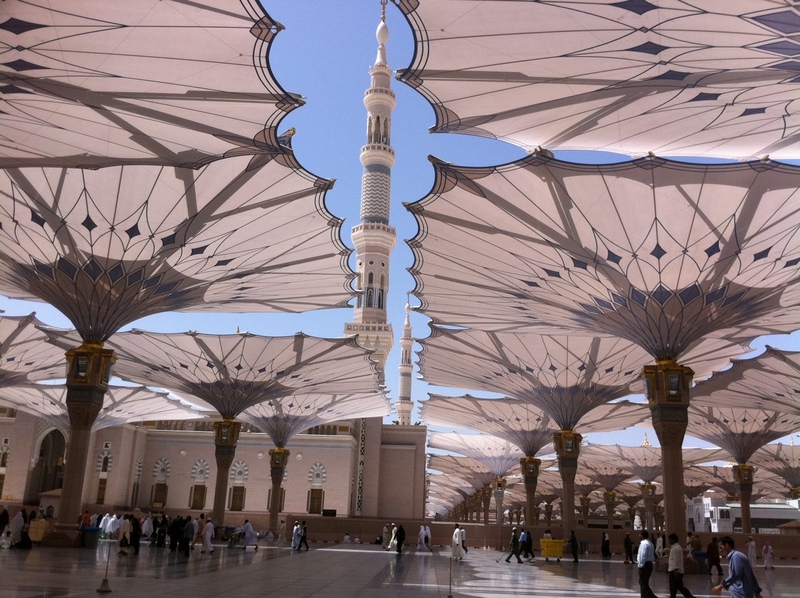 During their visits, Muslims typically spend time at the Prophet’s Mosque in Al-Madinah as well, to pay their respects and pray in congregation at a mosque that can easily accommodate a million worshippers at a time. It is nice on occasion to escape from one’s routine and take a relaxing weekend getaway. I decided last week I would embark on such a trip to clear my thoughts and unwind somewhere peaceful, quiet and beautiful. 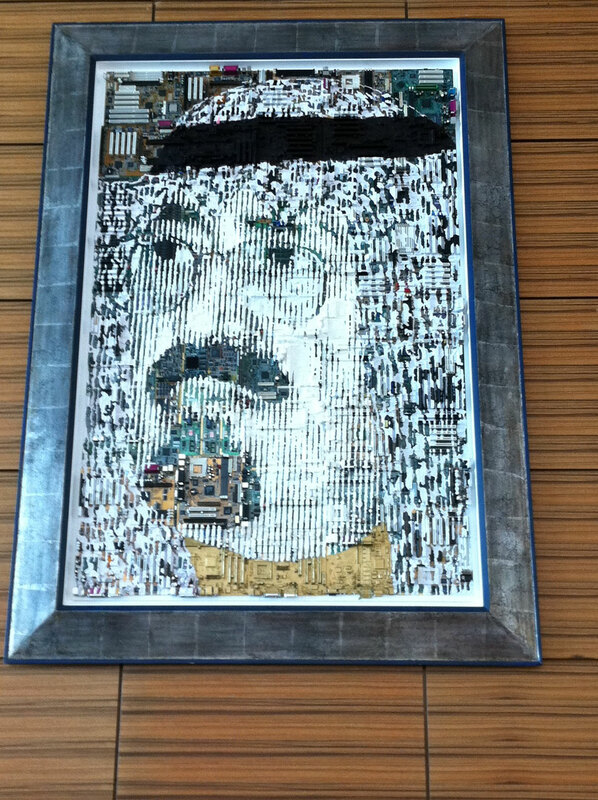 So, earlier this week I booked a ticket to Saudi Arabia. I know, I know, Saudi Arabia sounds like it is probably the worst place to want to get away, particularly for a young, single woman. But sometimes one finds the greatest beauty in the most unlikely of places. 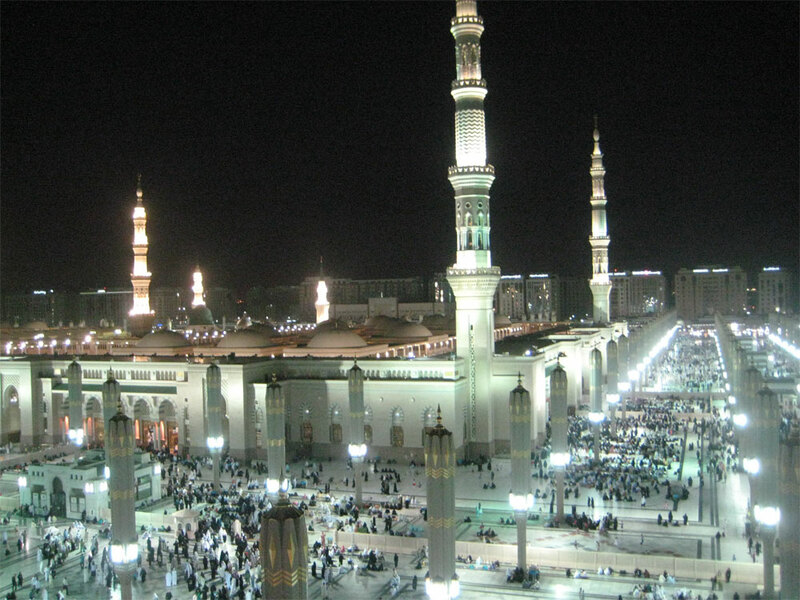 God willing, I will spend this weekend in Al-Madinah Al-Munawarah, a city in Western Saudi Arabia, which translates from Arabic as ‘the Enlightened City’ or ‘the Radiant City’. 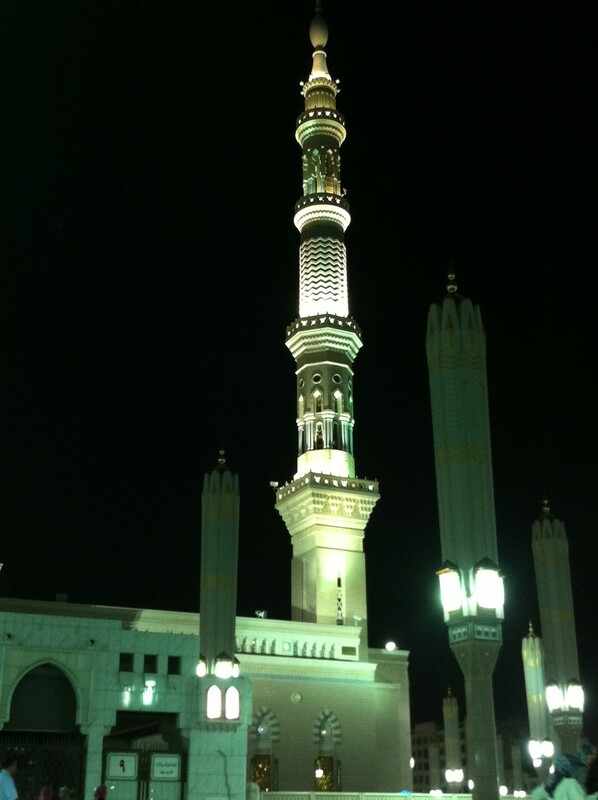 I first visited Al-Madinah in December. My mom had performed the Islamic pilgrimage, Hajj, a month earlier and we took a family trip to Madinah in order for her to ensure her pilgrimage was complete. Madinah played a decisive role in the establishment of the Islamic faith during the life of the Last Prophet ﷺ.
I often heard relatives describe the people of Madinah as kind and the city as serene, more so than Makkah, location of Islam’s holiest site, the Kaaba. 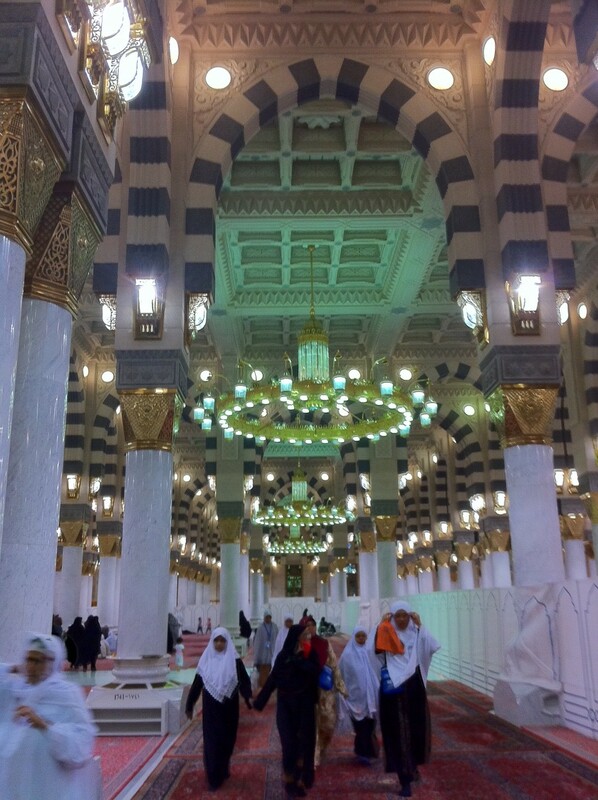 I had visited Makkah twice prior to my first visit to Madinah five months ago and one time afterward. 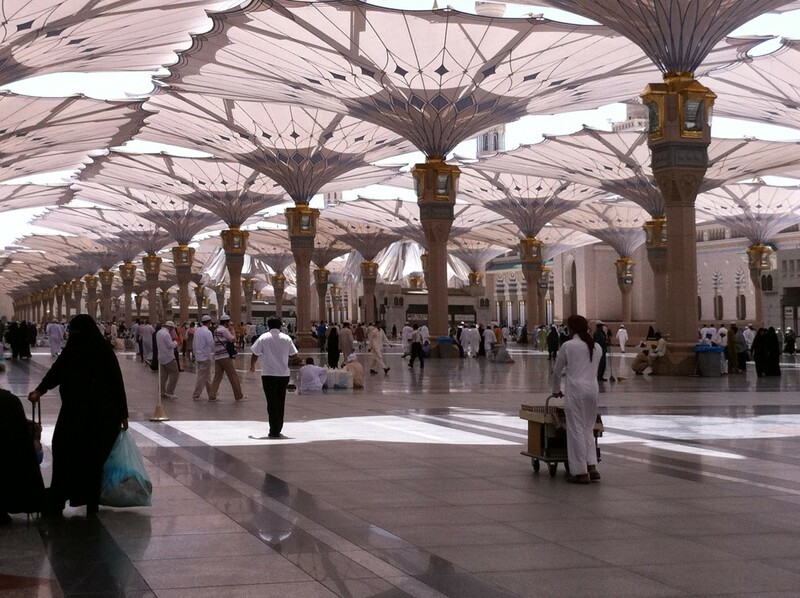 It is glorious to visit and perform umrah, a shorter pilgrimage that can be undertaken throughout the year. But of all the places I have been in my life, I had not encountered anywhere more peaceful than the Enlightened City. Muslims, humans who strive to achieve a state of submission to God, are drawn to Madinah out of reverence for Prophet Muhammad ﷺ. Born in 570 AD in Makkah, the Prophet ﷺ began receiving the first verses of the Holy Quran, Arabic for ‘the Recitation’, in 610. Islam, based on worship of One Almighty and Absolute Creator, rejected the idolatry widespread in Makkah at the time. As such, the Last Prophet ﷺ became regarded as a threat to the power of Makkah’s ruling tribe and those who embraced Islam were harassed, persecuted and threatened. When he learned of a plot to murder him, the last Prophet ﷺ left Makkah for Yathrib, which he later renamed Al-Madinah Al-Munawarrah, arriving in 622, an event known as Al-Hijrah (the emigration). There, he established the first Islamic community, spent the last years of his life and it is where he and many of his companions are buried. 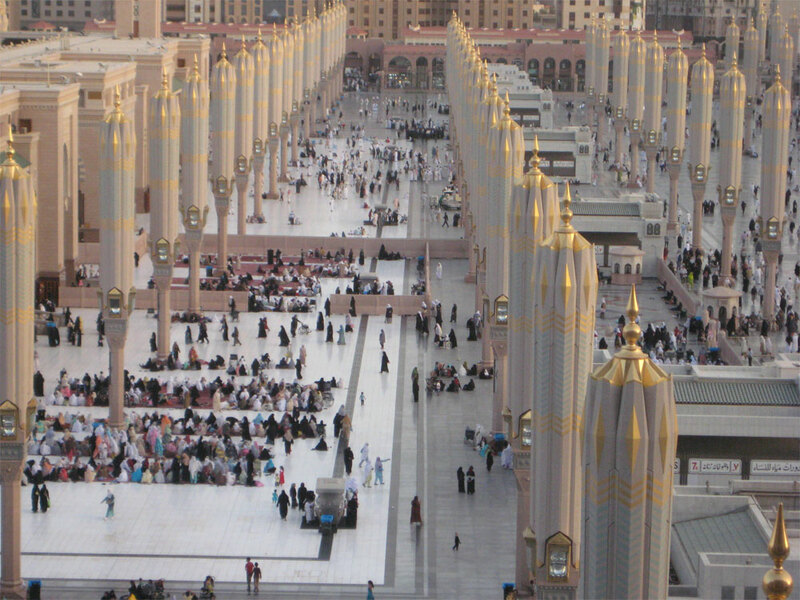 As such, Madinah is regarded as Islam’s second-holiest city. 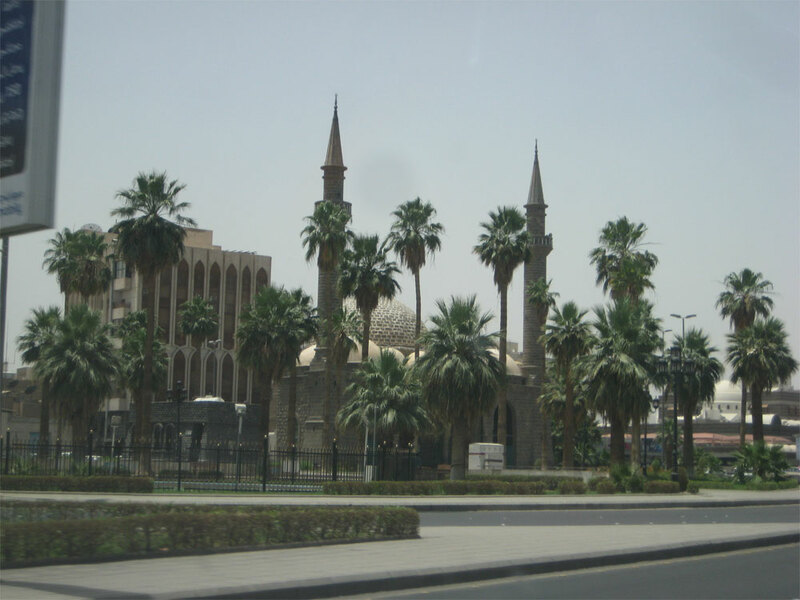 It is home to the three oldest mosques in the world. 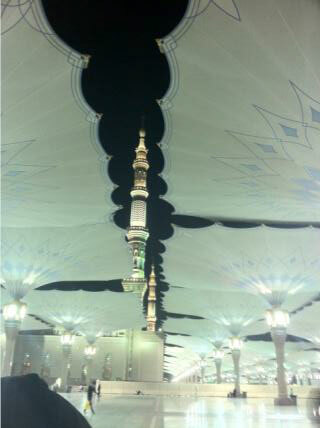 The one where I will be spending most of my weekend, God willing, is the Prophet’s Mosque, Al-Masjid Al-Nabawi. 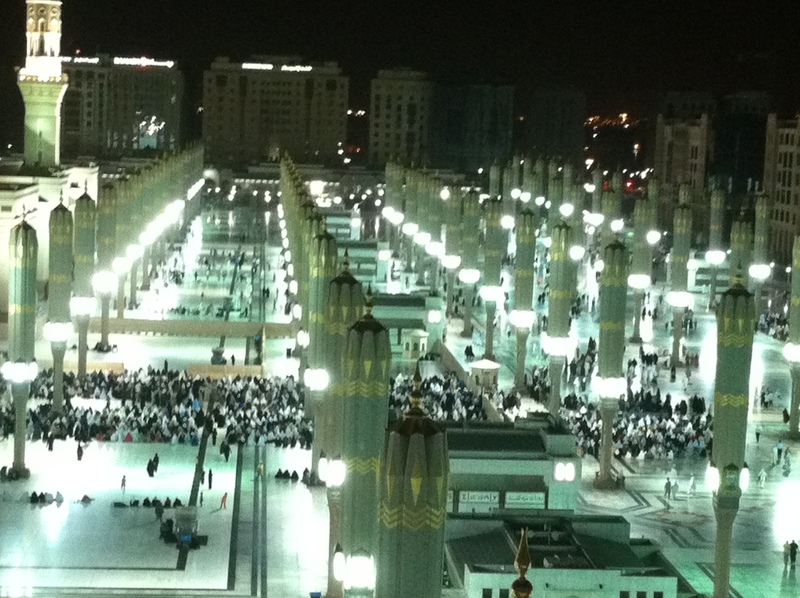 The Prophet’s Mosque has undergone numerous extensions to make room a growing number of believers, and is now able to accommodate well above 500,000 worshippers at a time, some say as many as a million. 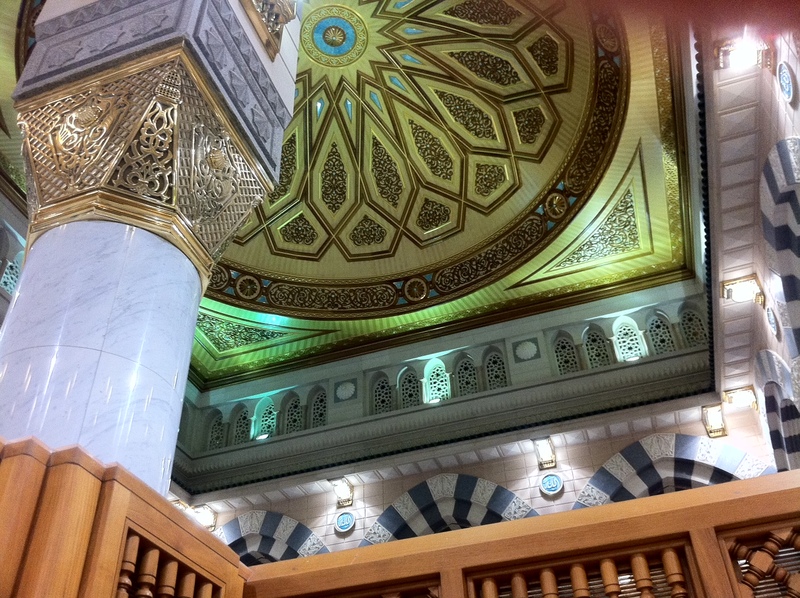 On my last visit, there was a great calming effect from concentrating on the mosque’s long lines of symmetrical, brown and beige arches supported by columns of white marble topped with brass capitals. They enabled me to focus my mind in prayer, to listen to the words of God being recited from the Quran and leave the world behind. 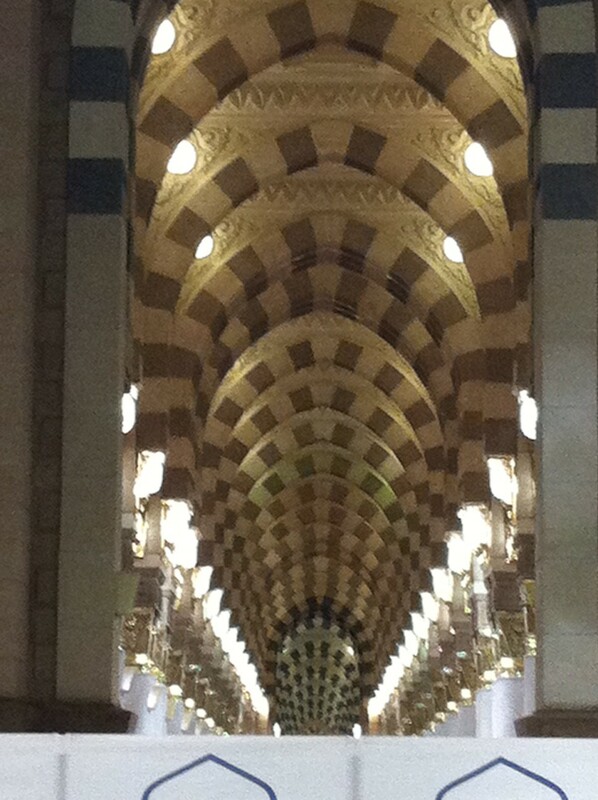 For the two days in December I spent in Madinah, life revolved around the prayer times, remembrance of God, reflection and contemplation. 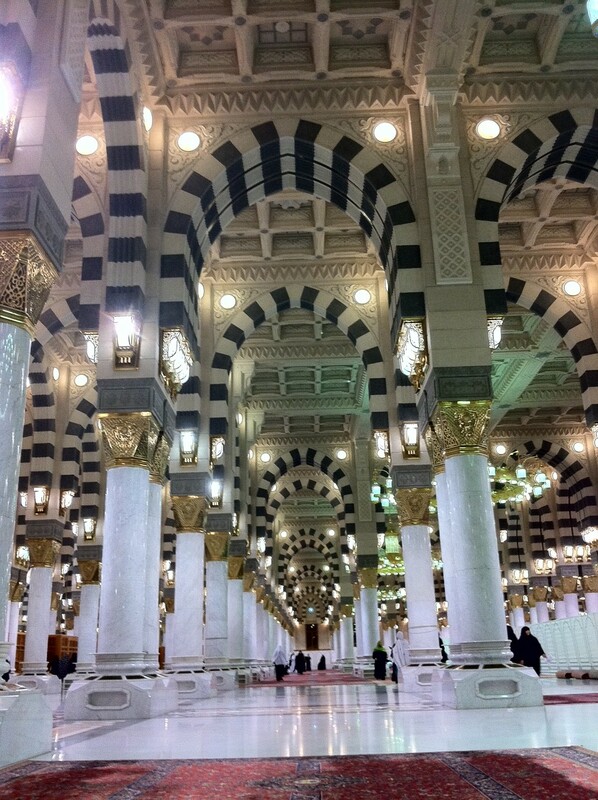 Sometimes when I am at home attempting to focus in prayer, I try to bring to mind those columns in the Prophet’s mosque, and remember that state of meditation I found myself in quite by surprise. Lately, I have been having a bit of difficulty keeping my mind from wandering as I pray at five times during the day. 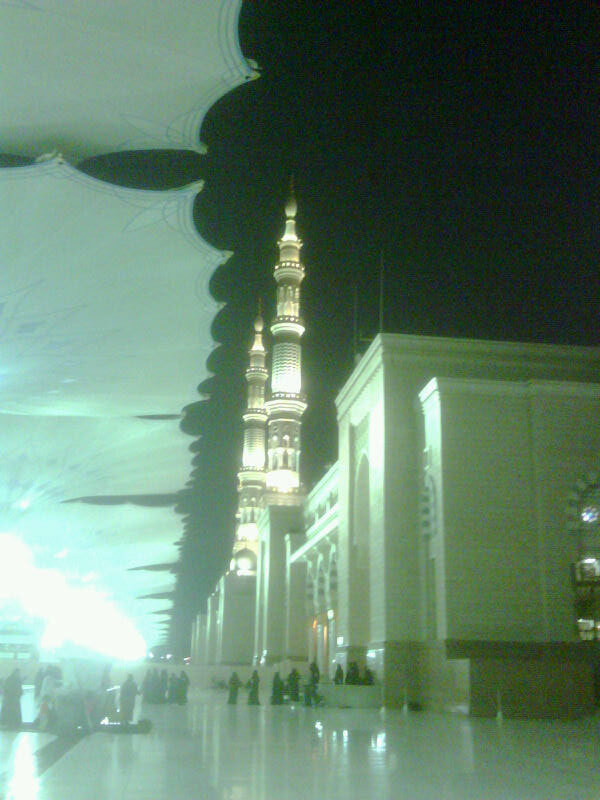 That’s why I am anxious to take a short retreat in Madinah, to draw myself back to that state of sincere concentration. “There are only three mosques that travelling specifically to them is recommended: The Holy Masjid in Makkah, and the Prophet’s Mosque and the Farthest Masjid in Jerusalem,” the Last Prophet is cited as having said. 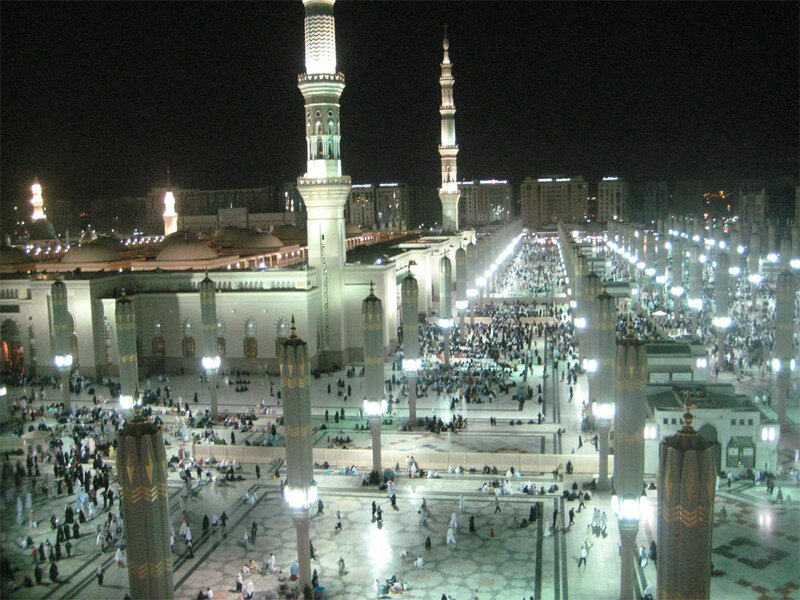 At the moment, I have a multiple entry visa for Saudi Arabia, and my sister and brother in law live in a university compound about a three-hour drive away from Madinah, so it is possible for me to take such a trip on a whim. While in Madinah, I also hope to visit the other two important mosques if time permits, as this really is only a weekend trip. 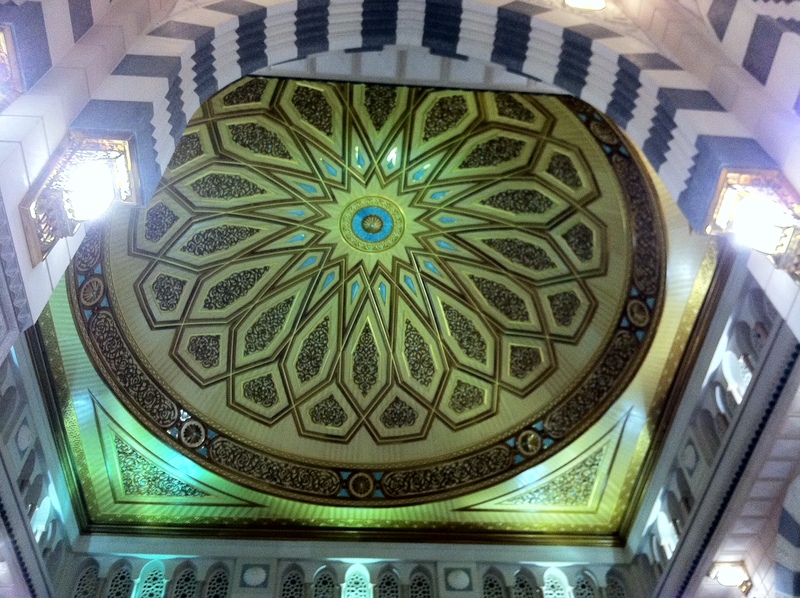 Quba Mosque was the very first mosque in Islam’s history. 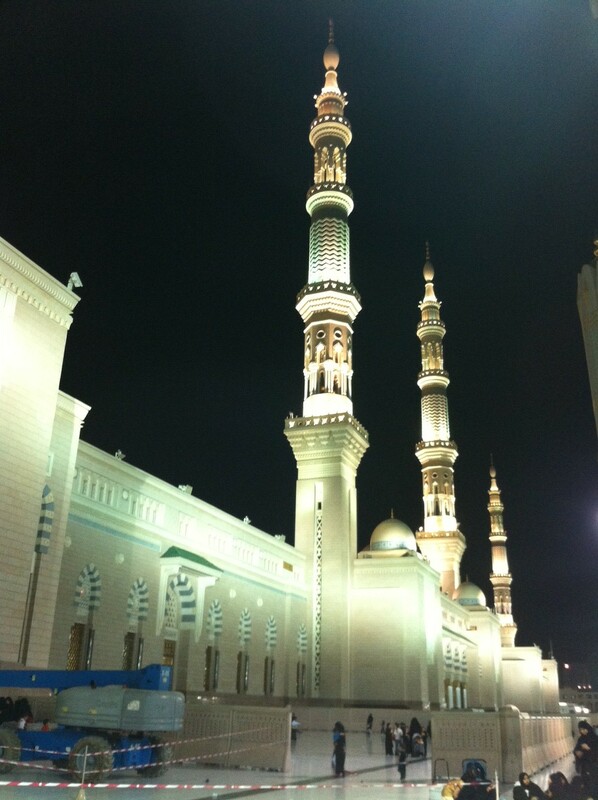 When the Prophet emigrated to Madinah he stayed in Quba for three days and erected a mosque there which is about three kilometres from the Prophet’s Mosque. 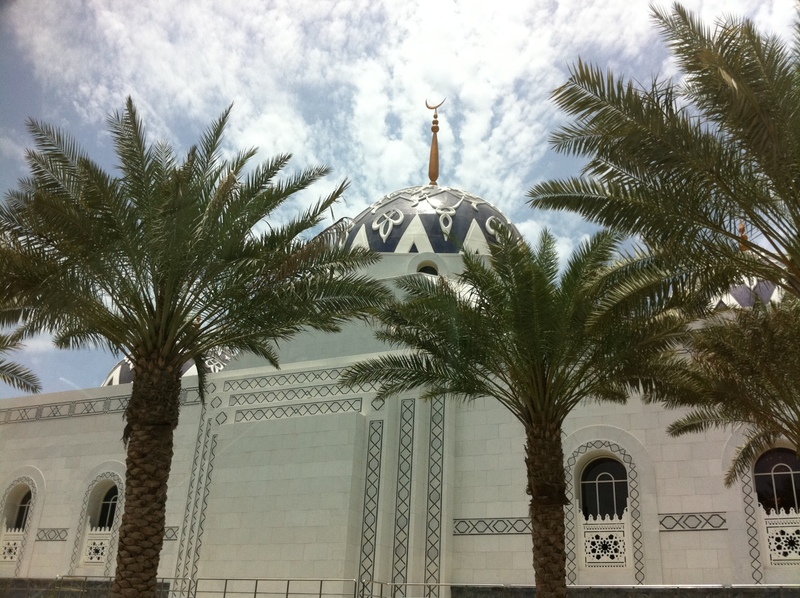 The other is Masjid Al-Qiblatain, literally the mosque with two qibla (the Arabic word meaning prayer direction). It was so named as it was in this mosque that the direction of prayer was first changed from Jerusalem to the Kaaba in Makkah. 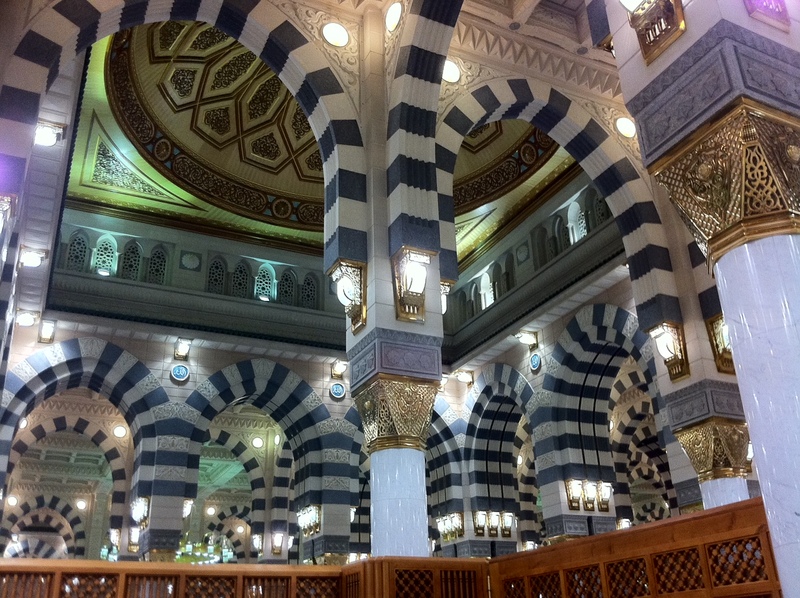 What I most wish to do again this weekend is to visit a special section of the Prophet’s mosque called Al-Rawdah, the small area distinguished by a different colour of carpet, situated between the location of the Prophet’s ﷺ last house and the pulpit where he would lead prayers prior to his death. 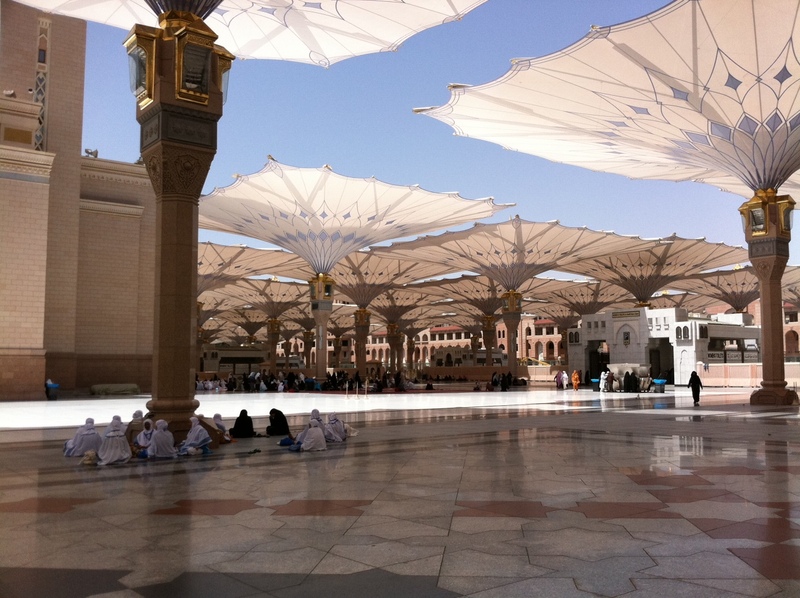 “The space between my house and my pulpit is (Rawdah) one of the gardens of Paradise,” the Prophet said. During busy times of the year for religious tourism in the kingdom, Al-Rawdah is packed and it can be difficult to find a small crevice on which to pray for 10 or so minutes. 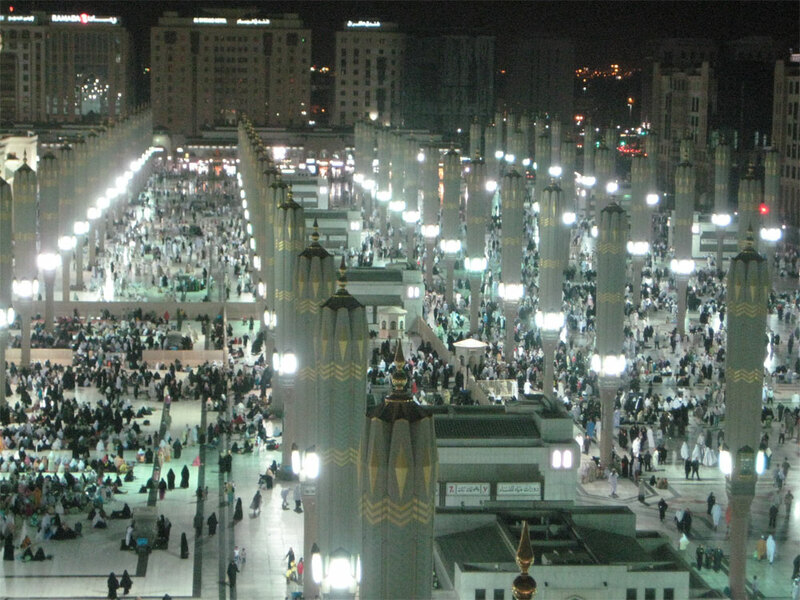 I was quite lucky on my first visit because tourist traffic after the Hajj slows down considerably, so I spent more than an hour in total on Al-Rawdah on two separate occasions. I was told by one of the female guides last time that the prayers one says on Al-Rawdah hold particular significance since the area is a garden that has either come down from Heaven, will be lifted up to Heaven or, she said, prayers given in this area reach Heaven. I can’t imagine many better place to spend this weekend.